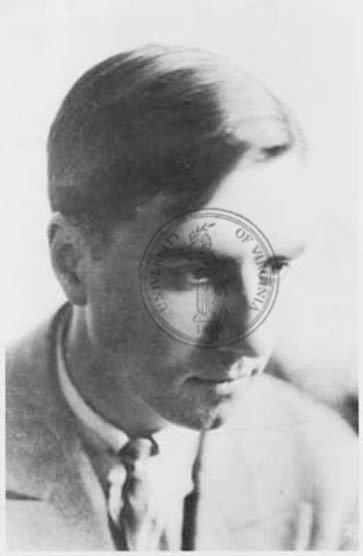 Photograph of Julien Green, no date. Julien Green, the only non-Frenchman ever elected to the prestigious French Academy, entered the University in 1919. According to Thaddeus B. Woody, a fellow student who later became a UVa French professor, the shy young man was never very happy and left before completing his studies. 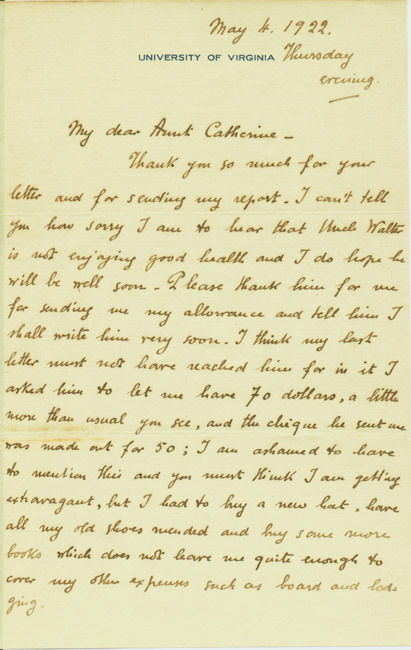 While at the University, Green wrote to his Aunt Catherine that he was able to finish his studies every morning by ten and then spend the rest of the day in the library where he learned more than in class. He also wrote that "I never realized I was really attached to this place until I considered leaving it." Green, who has been described as having "a Puritan's obsession with sin, a Catholic's hope in grace" set his 1950 novel Moira at the University. In the book a young pre-theological student is seduced by his landlady's nymphomaniac daughter. He smothers her, turns down a chance to escape, and prepares to turn himself over to the authorities. 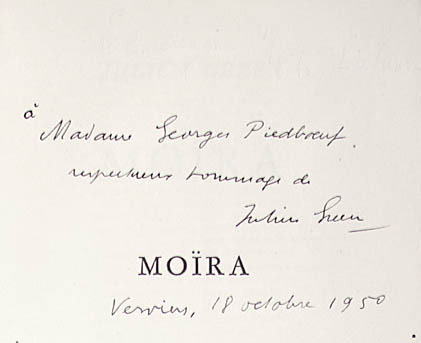 Julien Green, Moira. Paris: Librarie Plon, 1950.